The biggest slice of the budget cake goes to Education with an allocation of R386,4 billion rand. Finance Minister Tito Mboweni says the budget remains focused on the poor. The cash will be used for – among other things – the old age grant, social security and the child support grant. Mboweni says government is determined to help the vulnerable. 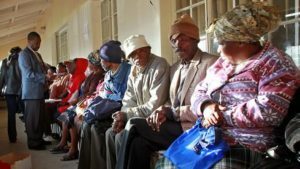 “In the fight against poverty and inequality, government has allocated R567 billion for social grant payments in 2019. The grant values will increase as follows R80 increase for old age, disability, war veterans and care dependency grants. R40 increase for the foster care grant to R1000, the child support grant will increase to R420 in April and R430 in October,” the minister explained. Treasury says the country’s GDP growth for 2019 is forecast to grow at 1,5% from an estimated 1,7%. The weaker outlook projects the slow improvement in production and employment following poor investment growth seen last year. Government says the medium term outlook is subdued with GDP growth expected to reach 2-point- 1 percent in 2021. The post 2019 budget to focus on Social Services appeared first on SABC News – Breaking news, special reports, world, business, sport coverage of all South African current events. Africa's news leader..